Robotic Touch Panel Tester - TakTouch 1000 - Tactile Automation, Inc.
Request a quote or call us today to learn more about the TakTouch 1000. Our Goal was to build one highly customizable testing platform to accomodate various touch test requirements. 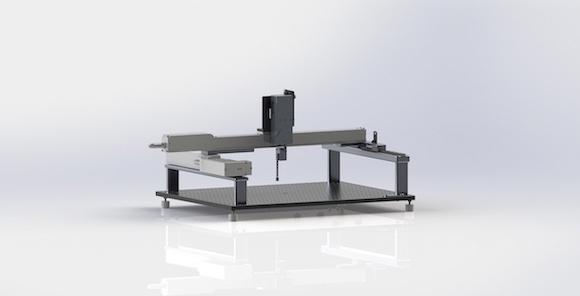 This allows you to measure a variety of touch sensor characteristics with a single tool reducing capital expenditures and increasing testing capability. 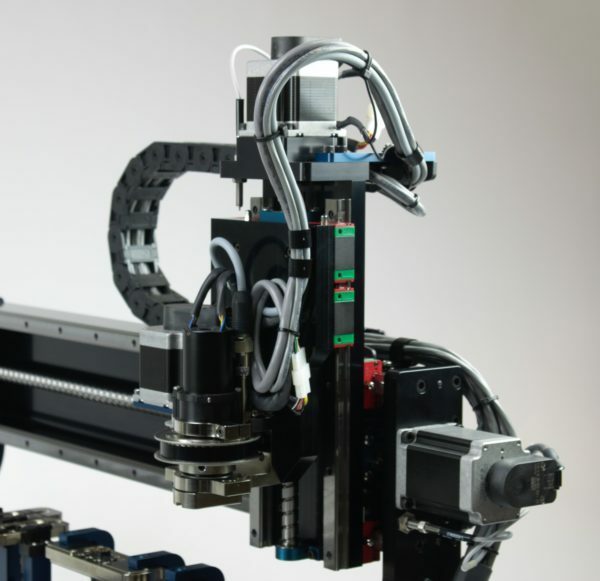 Supported by a variety of off-the-shelf “touch & pen” specific end effectors. Highly mobile benchtop test solution. Recommended by the #1 OEM’s in the display industry. 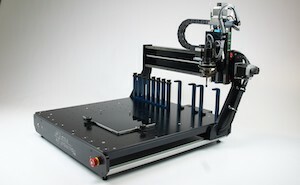 Designed and manufactured by Tactile Automation in the USA and supported by Tactile globally. What’s unique? It’s ability to automatically change to a wide variety of touch testing specific end effectors, without pneumatic’s, allows you to efficiently complete multiple tests sequentially without operator input. 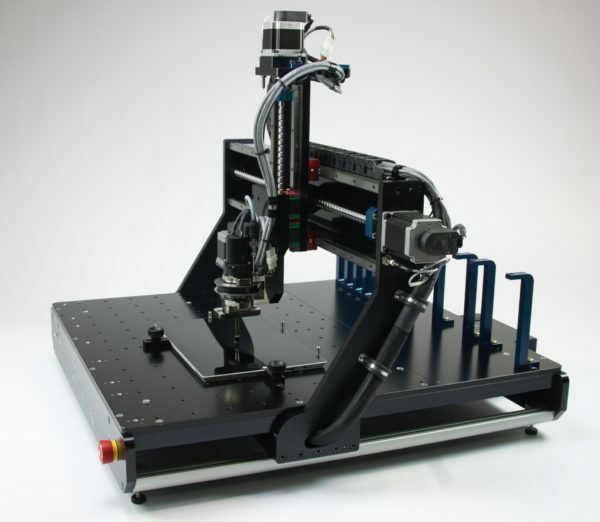 The TakTouch utilizes the Dynomotion KFlop motion controller which operates on Dynomotion’s KMotion software libraries. More information can be found below or on Dynomotion’s website here. The KMotion libraries are powerful in that they do all of the difficult computational and coordinated tasks for the user. You can create your own software to make use of the libraries directly, or through the .NET framework, or use third-party software that already makes use of the .NET framework such as National Instruments’ LabVIEW. We also understand your current peripheral systems may operate differently than ours, which is why we provide custom software development and support to ensure our systems interface smoothly with yours. Additionally, we offer “ground up” SW development for your specific needs. The real-time motion control is handled on the internal Dynomotion KFlop control board relieving the host computer of this duty. More information can be found below or on Dynomotion’s website here. The TakTouch supports automated Microsoft Windows HLK testing. See approved tools here. Reduces the average test time from ~180min to ~45min, a 75% time savings! Contact us to learn how you can reduce HLK test time by 75%! 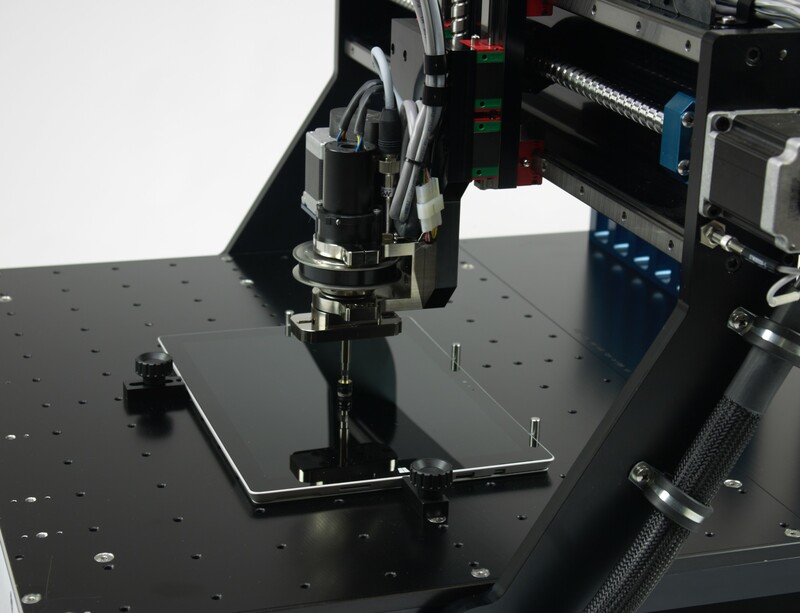 The TakTouch is capable of, but not limited to, assisting in the measurement of the above listed properties of touch and pen input devices from component to device level. Developing tools to help pioneer the future of touch panel devices.